Armenia, Yerevan, 3 A. Akobian Str. There, where career and education, there begins action which throughout many years is meeting place of the people, assured that good education is a springboard for successful career and, hence, one more step to the future. Unique such action in Armenia is an exhibition “EDUCATION AND CAREER EXPO 2020” which this year will take place in 17-19 April, in new exhibition center “Yerevan EXPO”. The eighteenth specialized international exhibition “EDUCATION AND CAREER EXPO 2020” complite the major and practical spheres of education, thereby giving possibility to save the time and to receive the interesting information the shortest way, – exhibition visiting. 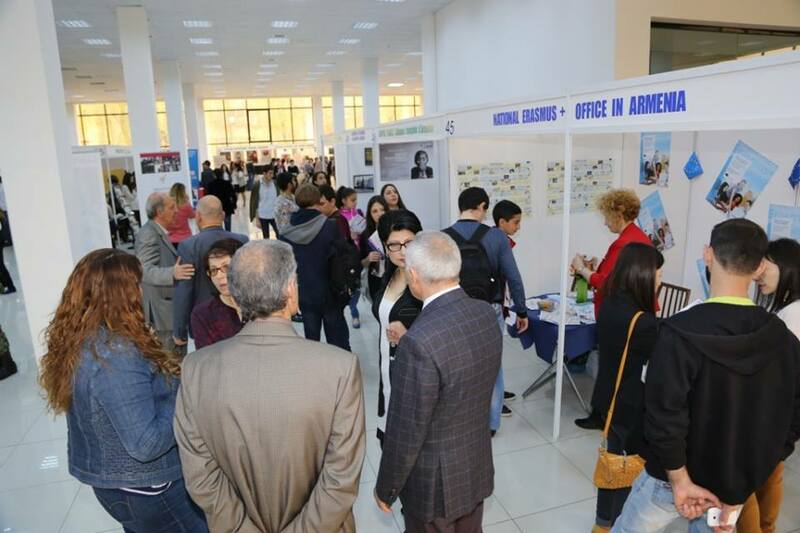 Participants of an exhibition are educational institutes (High School, colleges, the educational centers) and the international organizations-donors of Armenia and abroad. 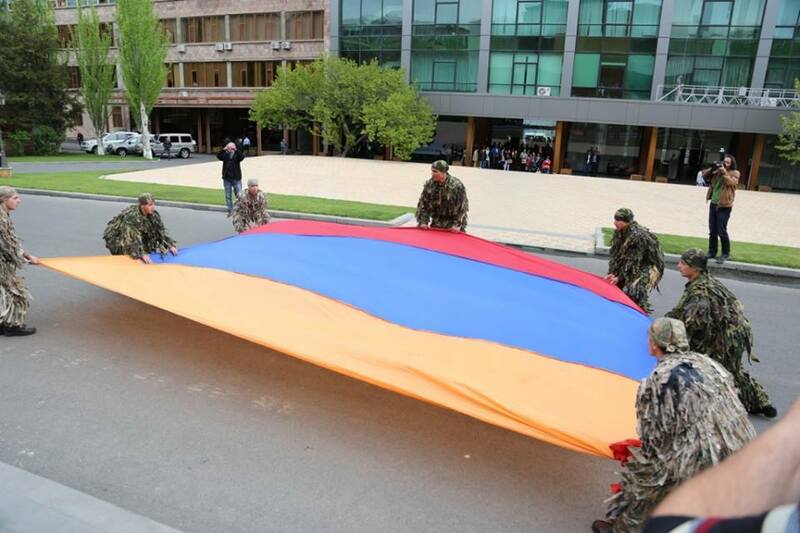 The exhibition will pass with official support of Ministry of Education of Armenia. Date of exhibition – April 15-17, 2020. 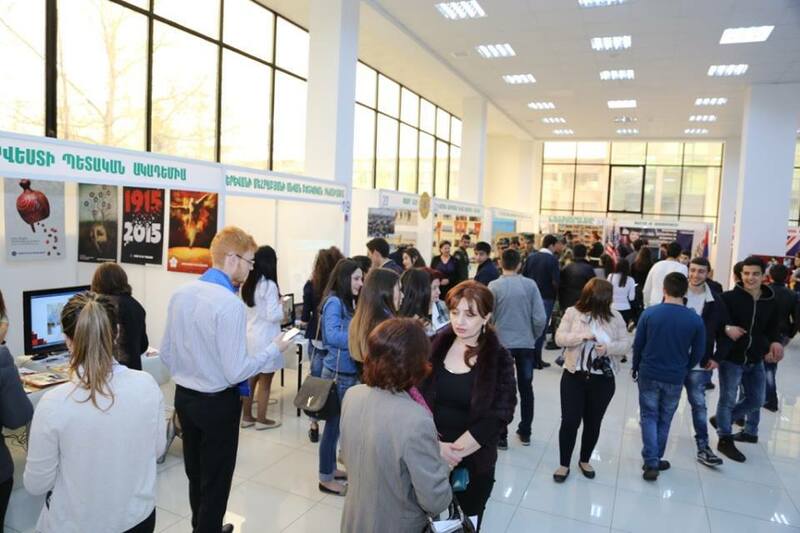 Participants of action “EDUCATION AND CAREER EXPO 2020” – High School, colleges, the educational centers, also the international donors-companies. 1. Formation in higher educational institutions. 2. The Role of the international organizations in an education sphere. 4. Virtual textbooks and programs. 5. Training methods and techniques. 6. The Educational and developing literature. 7. Tiphographical services and a stationery. 8. The Equipment for educational institutions. Official exhibition catalogue “EDUCATION AND CAREER EXPO 2020” will find a wide circulation both during an exhibition and after action in corresponding establishments. About all participants of an exhibition you can find the necessary information in an official exhibition catalogue, and also in an official site www.expo.am, in corresponding thematic sections. LOGOS EXPO Center the first exhibition company in Armenia (1999) which is the absolute leader in the sphere of the organization of industry, industrial, national and international shows and the congresses in Armenia. The exhibition company LOGOS EXPO Center develops and realizes modern marketing strategy, making use of experience and the advanced achievements of world practice of exhibition business. Over the last 19 years LOGOS EXPO Center organized more than 300 specialized and international exhibitions including different branches of economy. 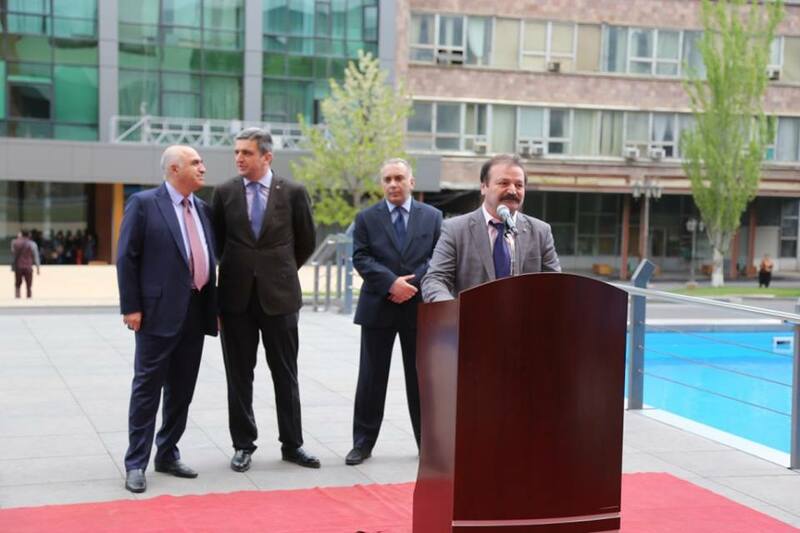 In cooperation with the Armenian governmental organizations, the ministries, departments, embassies of the foreign states, labor unions and associations the LOGOS EXPO Center company in a year helds 10-12 specialized exhibitions which reflect dynamic development of national economy. 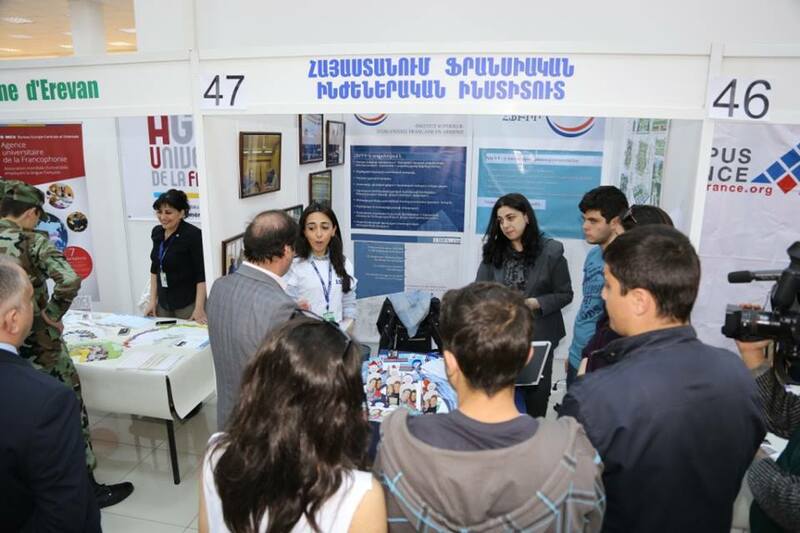 On October, 14th in Yerevan started the international exhibition “Education and Career EXPO 2009” The anniversary, tenth exhibition under the account has collected under roof of Demirchyan the various organizations – from schools and high schools to agencies on employment. Here Not only traditionlall Educational institutions , but also, for example, educational centre “Brabion”, an Internet portal hayjob.am where resumes and vacancies from the companies, systems on formation maintenance abroad and so on take places. The general support of an exhibition – VivaCell-МТС has presented the curious program “Career Development” which has caused a great interest in visitors, In particular, the company provides at itself practice for students in several directions: telecommunications, an information technology, the finance and accounts department, sales and marketing etc. “Our purpose in strengthening theoretical knowledge of students practical skills. 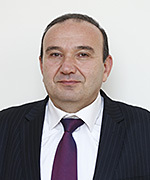 Presence of practical experience facilitates work search”, – has noted general director of Vivacell MTC- Ralf Yirikyan. Educational institutions of the Ministry of Defence have solidly been presented. 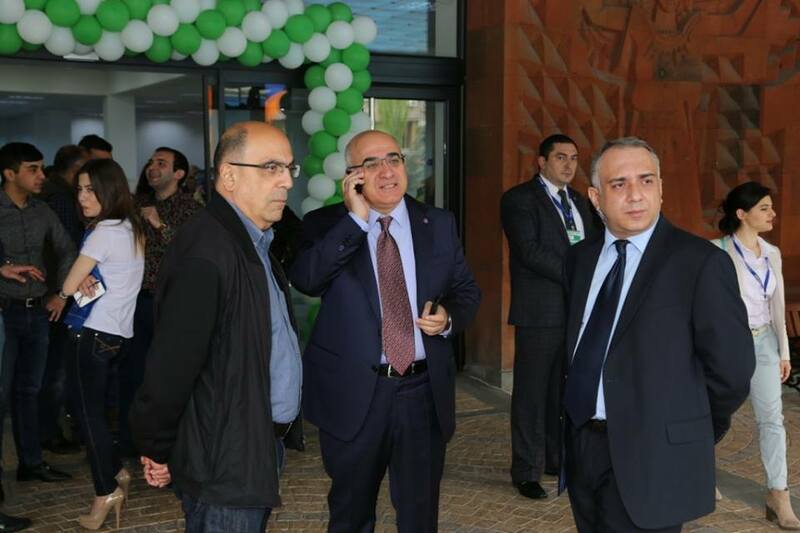 “We participate in an exhibition the fourth year and each time we try to present something new in Politehnike, -asked the Head of department of public relations and information of the State engineering university of Armenia Veronica Horasanyan . Today the university has presented textbooks in different languages on which basis students are trained. According to the interlocutor, it is the modern textbooks which have absorbed all modern technique and last achievements of world engineering. 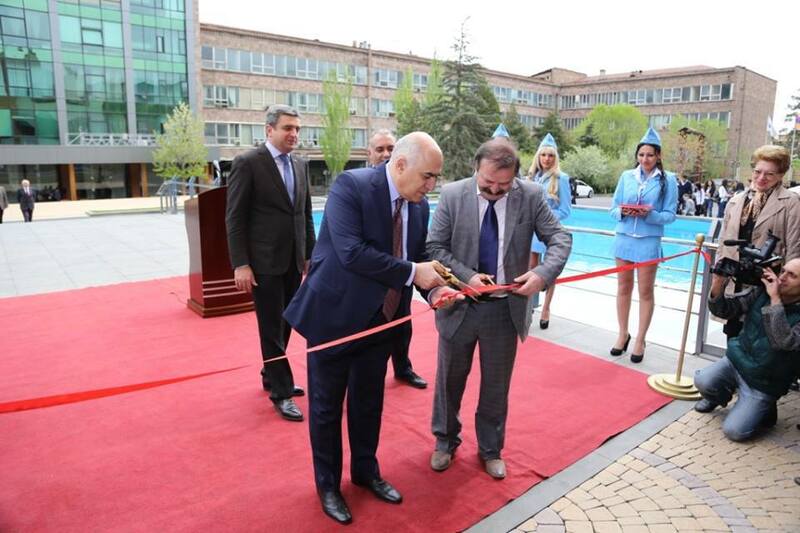 This year the university has presented also a new speciality – computer, art design on which this year there was a first set.” We stake on the specialities claimed by the market and directions, – confirms V.Horasanyan. – Participation in exhibitions brings to high school essential advantage. The urgency of a set of students as in high schools the generation of the beginning 90 starts to arrive today grows. And what years it were – all of us we remember. In this plan 2011 “will be the most difficult. Except exhibitions experts of high school spend propaganda work on university representation at schools. 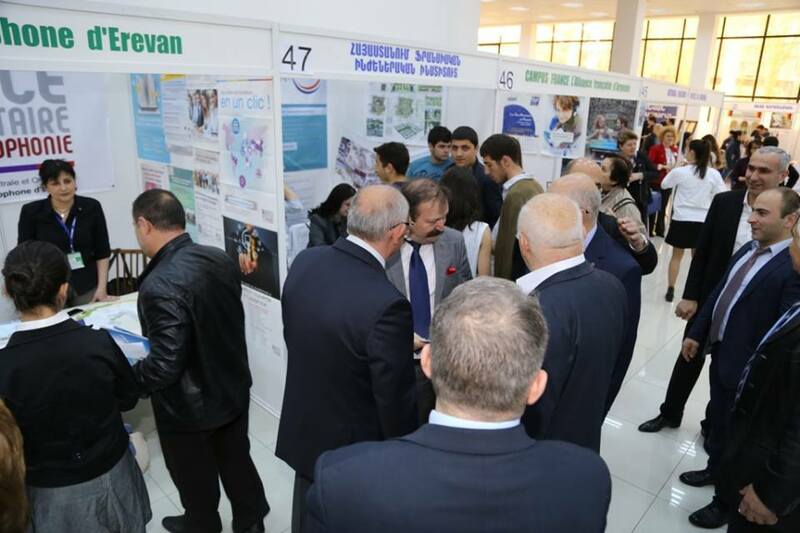 The international specialized exhibition «Education and Career EXPO 2009» has opened on Wednesday in a sports&concert complex after K. Demirchyan in Yerevan. 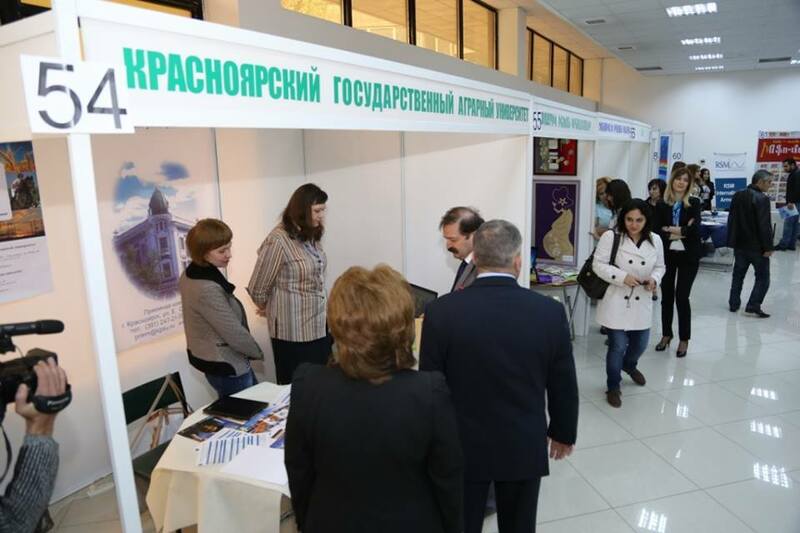 On anniversary – « Education and Career EXPO 2009» this year services over 50 educational capital, foreign and regional establishments (High School, colleges, the educational centres) and the international organisations-donors, and also over five agencies on employment have been presented in tenth exhibition. The information support of an exhibition company VivaCell-MTS, this year has presented the «The Program of development of career». 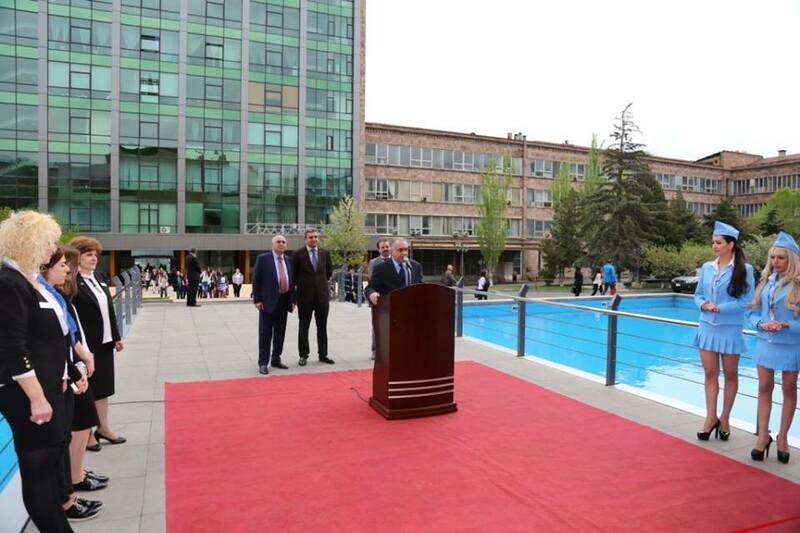 The basic directions of the program: training of students, school VivaCell-MTS, carrying out of open doors, and also lectures and the employment spent by experts of the company in High School and other educational institutions of Armenia are already actively realised by the company. 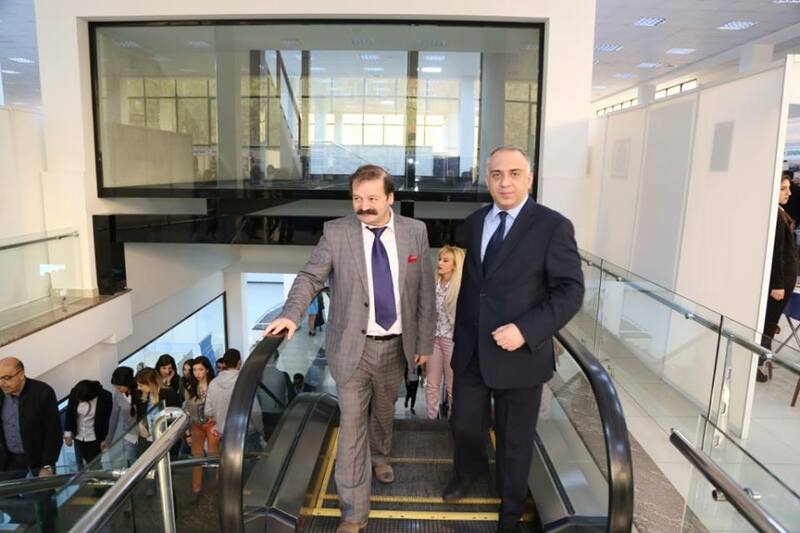 «For acquisition of steady position on a modern labour market and competitiveness increases, are insufficient only theoretical knowledge got in, High School practical knowledge» is necessary also, – the general director of company VivaCell-MTS Ralf Yirikyan has noted in the salutatory word on solemn ceremony of opening of an exhibition in sports&concert complex after K. Demirchyan in Yerevan. Giving importance to expansion of practical knowledge of the future experts, has noticed that the organizations and the companies operating in the domestic market in various directions, and saved up a certain experience in business sphere can and should impart the knowledge to future generation. 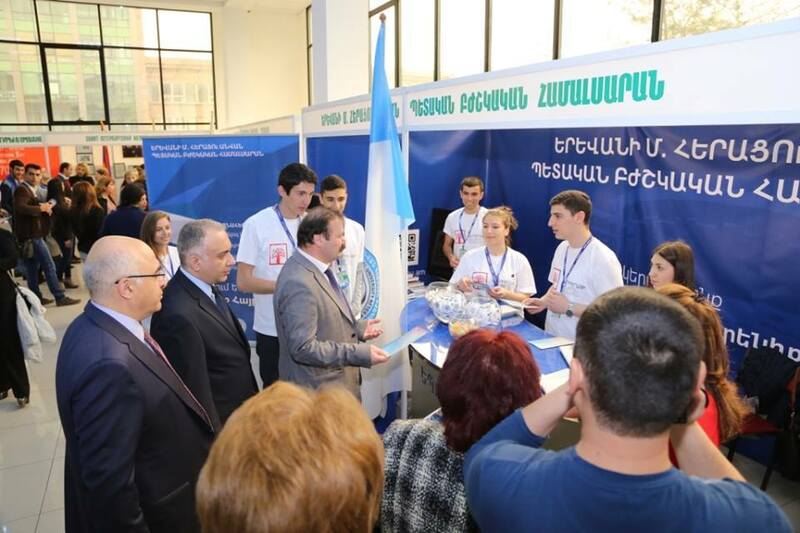 In turn the Minister of Education and Science of Armenia Armen Ashotyan has given to participants of an exhibition importance of the organisation and to carrying out of similar actions necessary for definition in a choice of a trade and increase of level of interest of youth to knowledge and formation. 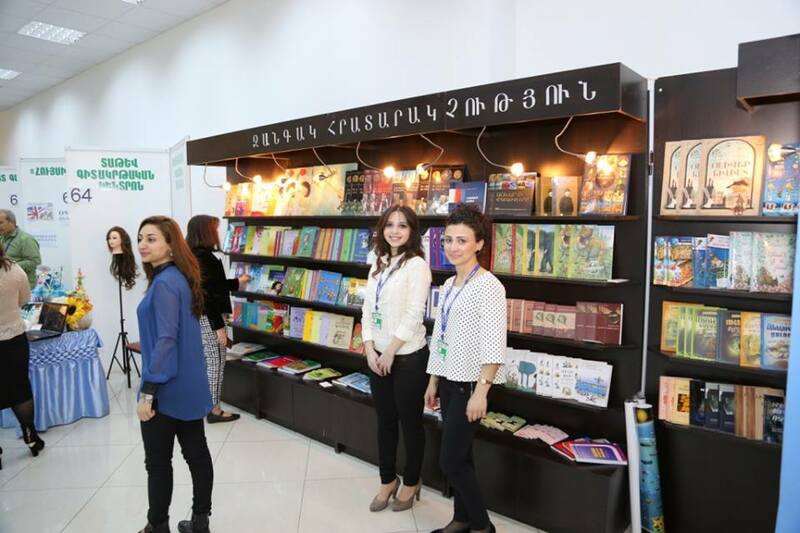 «Taking into account a world economic crisis this year we are happy with quality of an exhibition and quantity of its participants», – has noted the Head of department of Public Relation LOGOS EXPO Center Mari Gabazyan. As she said, according to last statistical data held directly by the organizer of exhibition LOGOS EXPO Center, an order of 20 % of students visiting an annual exhibition easily are guided in a choice High School and the further organisation of career. Exhibitions will last till October, 16th. 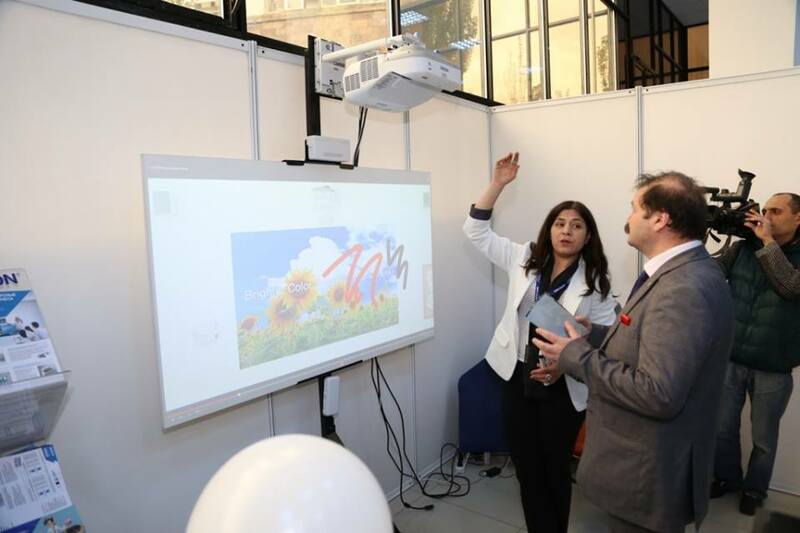 During an exhibition carrying out of seminars, round tables, discussions concerning innovations in an education sphere, and also variety of entertaining actions, including concerts, trainings are planned also. indeed interesting both for participants and for visitors. This exhibition did not become an exception. 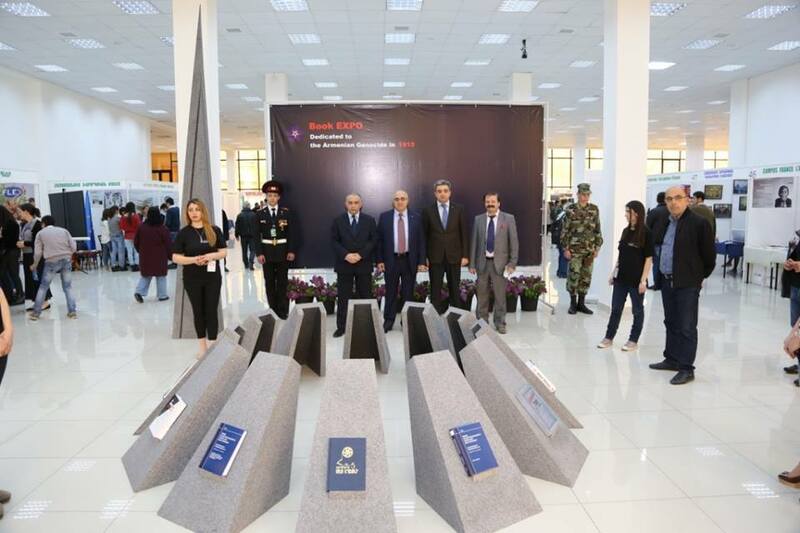 First of all it should be mentioned, that the Ministry of Education and Science was not only official support of the exhibition, but participated as its active participant. 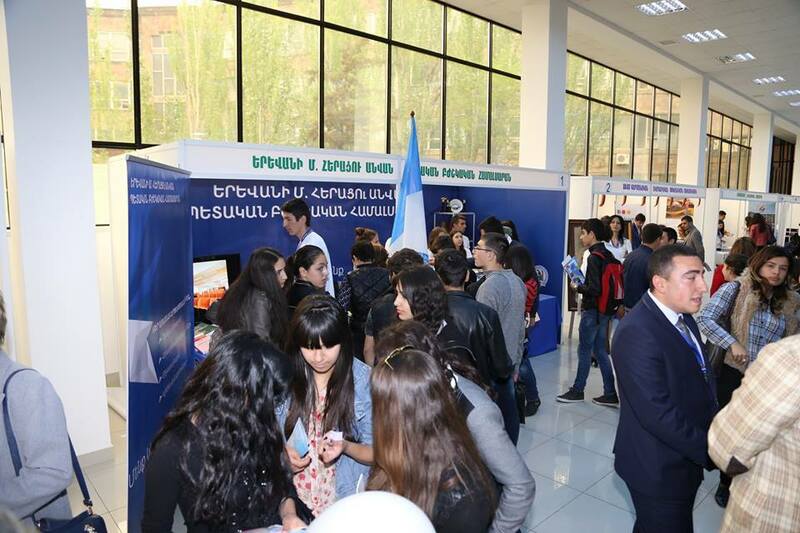 It gave a unique chance to visitors to receive answers to any questions concerning an education system in Armenia. 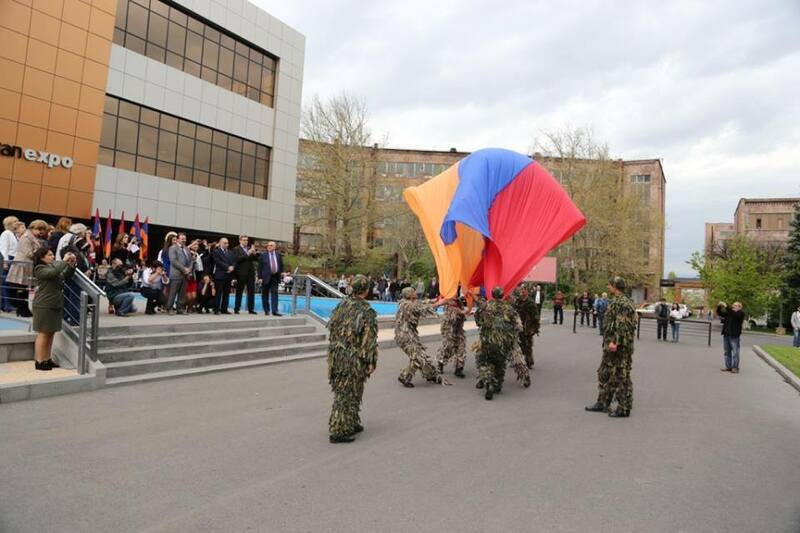 Pupils, for example, were especially interested in the details of the Uniform Graduation Exam accepted from this year in all schools in Armenia. 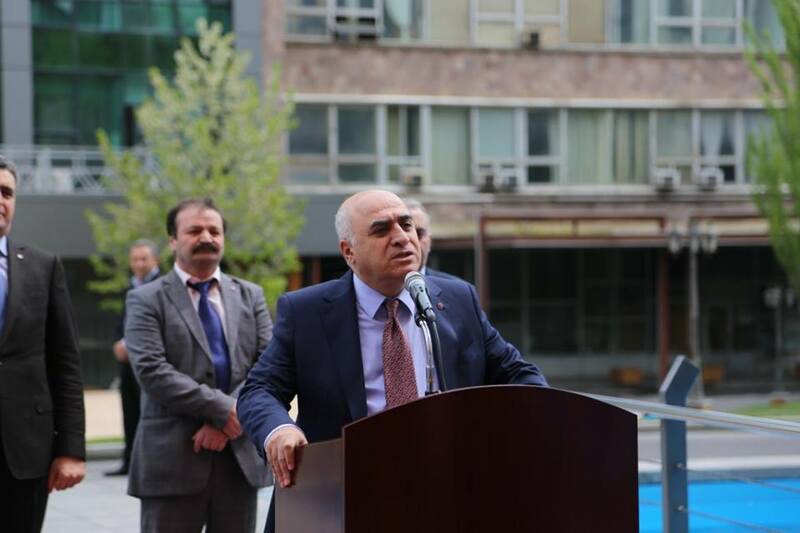 The three-day program included also the organisation and carrying out of round tables on such subjects as “Higher Education in Armenia and Career Prospect”, and “Communication Between Universities and the Enterprises, Exchange”. Within the limits of the program the master class under the supervision of educational centre “Brabion” has been spent. The exhibition “Education and Career EXPO 2008” pleased the participants and visitors with original performances of the show programs of dancing schools taking part in an exhibition. In a word, in order to completely feel what occurred “the House of Moscow” from October 22-24, 2008 it was necessary to be present there. And for this purpose only your desire is necessary – LOGOS EXPO Center is glad to welcome you at its each exhibition. As humorists, “the person formed — the one joke who knows where to find what he does not know”. Going upside-down, say, that the annual educational exhibition is, where it is possible to find everything to become formed. 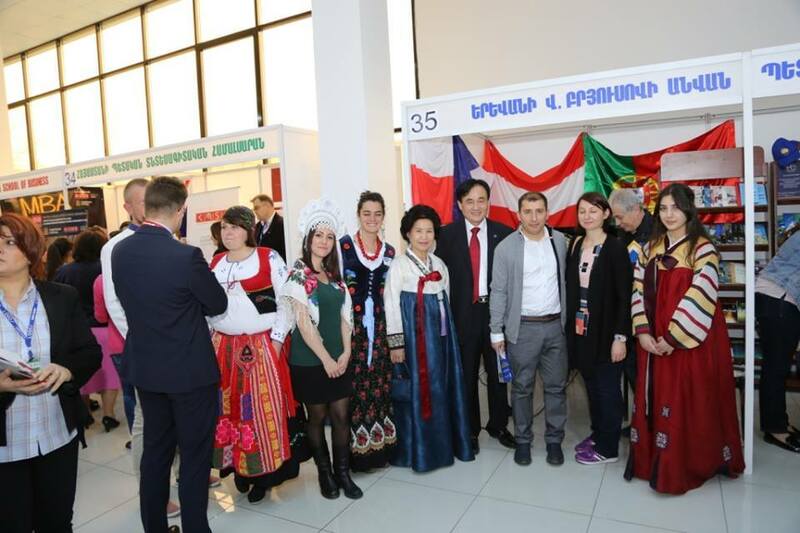 From April, 27 till April, 29th May in the House of the government private exhibition company LOGOS EXPO Center has been organised 7th specialised exhibition “Formation and Career EXPO-2006”. Annually this company spends 10-12 specialised exhibitions, their general number for 6 years of work has reached 55, and the quantity of their participants has come nearer to thousand. Paraphrasing George Galifaksa we will tell:” Formation is that at us remains, when we will forget everything to that us learnt “. The problem” to forget everything to that us learnt “is especially actual for the senior generation, and not casually exhibition “Formation and Career EXPO-2006” has passed in frameworks of” Week of formation of adults “, organised by the Armenian representation IIZ-DVV, fund” Training and formation throughout all life “and with assistance of Ministry of Education and Science RA. At opening of week it was repeatedly noticed that formation should not to assume any age restrictions and that still main problem for all age there are employment questions. This time, as well as last year, besides traditional exhibition stands, actions to which, as they say, “all age are obedient” were in parallel carried out. It was bill discussion “About formation of adults” and conversation about “Physical and psychological problems of women after forty”, “the Creative workshop of the translator” and “the Master class on “Aykido” and “Ushu”, serious discussions of participants of seminars and performance of chorus of the Yerevan state humanitarian college. The basic participants – universities, institutes, colleges, the centres of language training and other organisations concerning formation, – have settled down with the demonstration material on the ground floor. Exhibits of Medical institute of Megrabjana were almost opposite to the Yerevan branch of the Moscow new legal institute with well-known for “the Suitcase of the inspector”, and hardly at some distance – exhibition materials of the State conservatory and the Yerevan building college. Certainly, the greatest attention was involved with stands, so to say, with practical exhibits – physicians on models showed how to do an intravenous prick and to connect system, and lawyers showed contents of an aforementioned small suitcase: took fingerprints and appeared through an ultraviolet monetary denominations. All participants were unanimous in one: it is necessary to spend such actions, because presently the information is a great force. “I have arrived in this institute after visiting of a similar exhibition, – the student of Medical institute of Megrabjana has told nowadays. – has familiarised with the brochure, has had a talk with those who represented the stand – and now I represent him”. Certainly, basically schoolboys of 9-10 classes and entrants, the interested receipt and training conditions became visitors of an exhibition. Adults (for which, actually, this week also has been organised) for the most parts gave preference to seminars, were interested in possibilities of improvement of professional skill and the trades which do not have age restrictions (for example, accounts department – a speciality enduring the present boom wishing it to seize). And still, in that visitors of an exhibition wished to be trained, and whatever impressing materials have been exposed by its participants, all have been convinced of one: the most important thing on such actions is a live direct dialogue. And we wish all – without social and age restrictions – to study so that because of the made accounting balance it was not necessary to give fingerprints; to manage to have a talk with foreigners it is better, than they speak in the language; And that when has come to construct time the house – to build it under own project. For formation is that luggage which anybody and never can take away from us. Dear organizers, participants and guests of the international exhibition “Education and career EXPO”, I would like to welcome you on the opening of the exhibition. 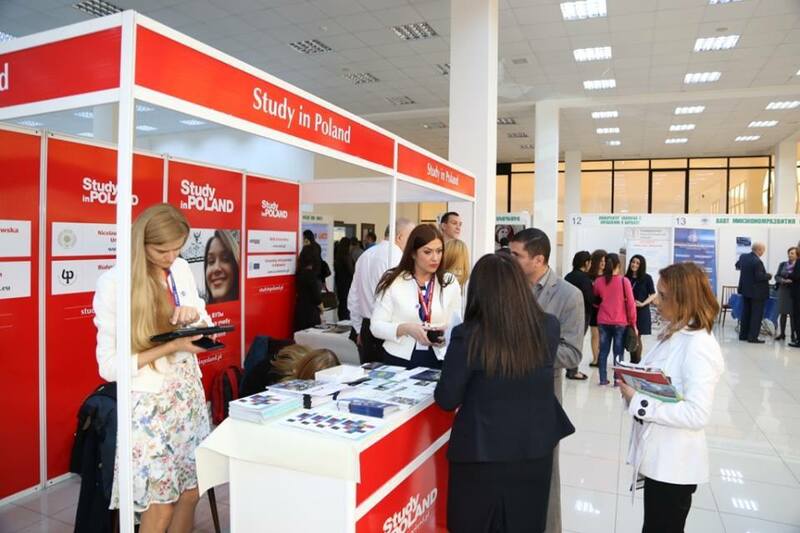 The international exhibition “Education and career EXPO”, which has been organized for many years, has become a good tradition. The exhibition presents the activity of educational institutions and the educational programs of international and local organizations to our community, while providing competitiveness as well as equal conditions for effective cooperation. It promotes the career orientation of young people, raises their interest in education and gives an opportunity to objectively evaluate the proposed educational services. The result of the effective functioning of the exhibition is the expanding circle of the participants and those who are interested in the exhibition. I wish all the participants and organizers of the exhibition success and new achievements. Beginning of the year we chose a certain direction for the activities of our company, it is children and youth. We have several projects, which includes also education. The bottom line is that today’s youth, choosing this or that education is becoming more competitive in our market, and ultimately having to choose best jobs. We are trying to cement the bridges that connect business with various educational companies. 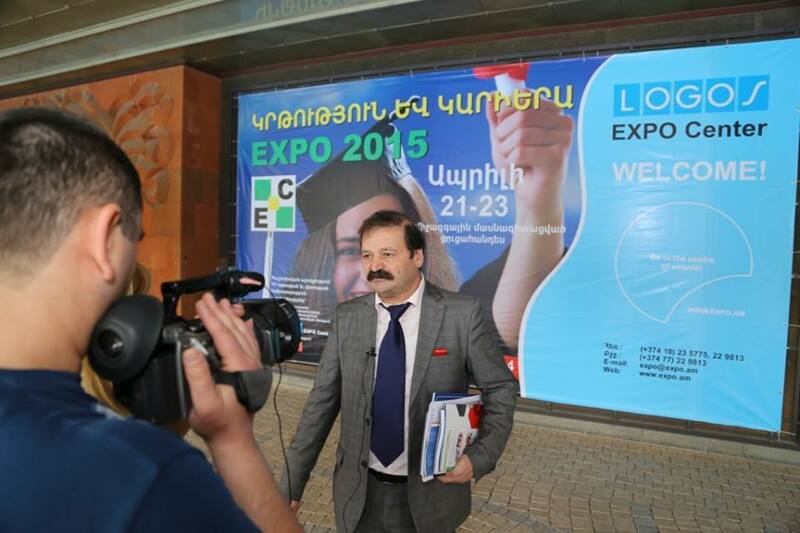 So, exhibitions, as “Education and Career” organized by “LOGOS EXPO Center” are undoubtedly the impetus for achieving this goal. We appreciate the importance of exhibitions “Education and Career”. This is the 10th anniversary exhibition, and we participated in almost all the exhibitions. The fact is that today the educational establishment has a lot to say. Education & Career is a bird with two wings, the combination of which will allow for higher flights. For the fourth time we participate in vytavke “Education and Career” and this means that we attach great importance to trade shows where we have the opportunity to present our training program for applicants. The result is obvious. Every year the number of entrants in our university is increasing. 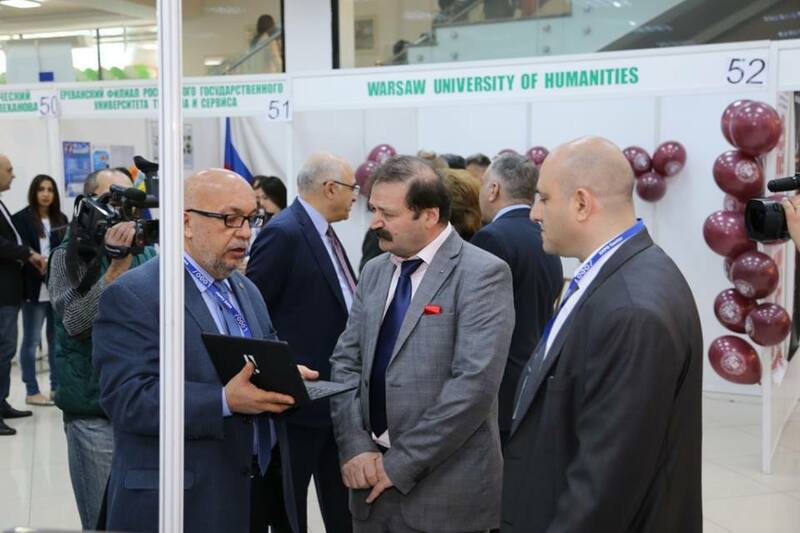 Also participating in the exhibitions “LOGOS EXPO Center” gives us the opportunity to become better acquainted with the new curriculum and technology university druhih s that can grow in pace with the times. For the third time we are participating in the exhibition “Education and Career”. I note that this exhibition will benefit from first admission because it gives them an opportunity to get acquainted at once with the programs of several university and evaluating the possibilities and limitations, to make the right choice. director of the career center graduates of YSU. Exhibitions such as “Education and Career” is very important for our youth, because they are able to communicate directly with the leaders of training programs of interest to ask them questions and receive answers. rector of the International Academy of Education. We are represent AIT, which is a branch of Russia Academy of Tourism. We provide professional education in tourism, which is very important for our country. I note that this year compared to last, the number of visitors was more, a growing number of entrants coming to the exhibition “Education and Career” stop at our pavilion and are interested in our training programs. Thanks to the company “LOGOS EXPO Center”, which provides an opportunity for direct communication with our future students. Our agency is the first time participating in the exhibition “Education and Career”. I want to thank organizers of LOGOS EXPO Center for the organization of exhibitions at the highest level. They enable our young people thoroughly acquainted with the educational structure of our country. Colonel of Military Aviation Institute. 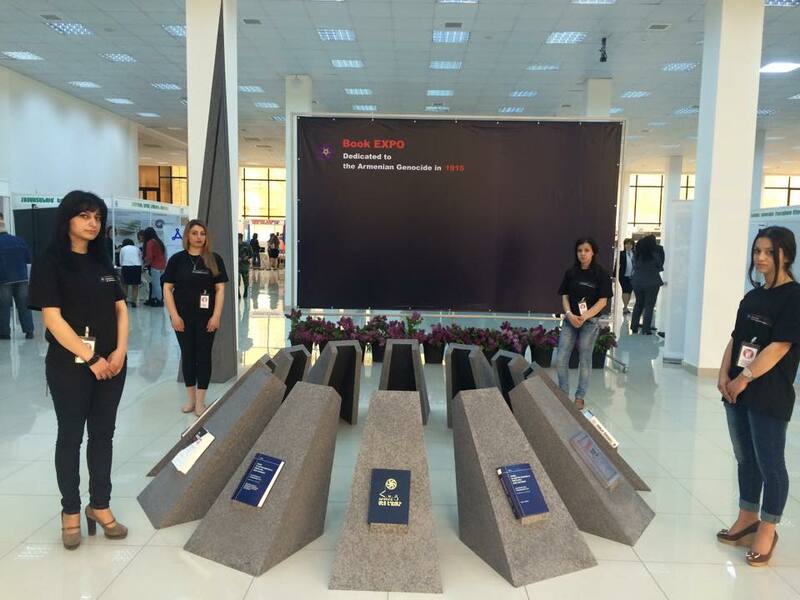 This exhibition can become one more step stimulating development of economy of Armenia. In the given process the role of high schools is very important. Today’s exhibition is a part of the global program developed for assistance to people, wishing to get education that they could find the place on a labour market. 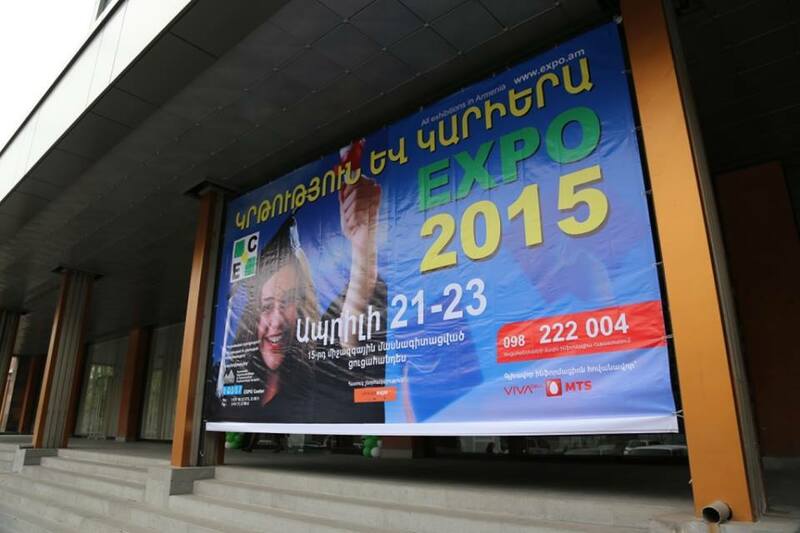 It is not the first exhibition, organised by company LOGOS EXPO Center in which we actively take part. Besides acquaintance with the information, similar actions are constructive that during their carrying out there are many interesting meetings and there is a possibility to continue business dialogue further. And the exhibition “Education and Career EXPO 2006” did not become an exception: thanks to it, we managed once again to draw attention to our activity, to familiarise with something new to ourselves, and also as I have already told, to come into new business contacts. We any more participate the first year in exhibitions LOGOS EXPO Center and it is very important that also seminars and trainings in parallel began to be held. People not only can walk around a hall and familiarise with stands, but also actively participate, for example, in seminars. Certainly, practice of demonstration stands and the spread out information materials is all over the world, but, in my opinion, the concept of carrying out of similar actions needs to be changed and on the foreground to deduce live direct dialogue which gives much more as ee to visitors, and participants of exhibitions. We participate the second year in the exhibitions organised by company LOGOS EXPO Center, and I wish to express the gratitude to their organizers once again. The exhibition “Education and Career EXPO 2006” was rather informative both for youth, and for people of middle age, and has passed in healthy business conditions. We ask company LOGOS EXPO Center not to stop on reached and more often to organize similar actions. The exhibition “Education and Career EXPO 2006” has made fine impression: it has been well organised, all had high spirits, stands of educational institutions are impressively issued and presented. One of components of such good impression was also that, besides acquaintance with the uchebno-cultural and educational centres of Armenia, was possible to become witnesses of performance and their creative collectives. And it is final, the important factor and stimulus for participation, in particular, youth in such exhibitions is possibility in dialogue and information interchange. In the exhibitions, concerning formations, we participate not for the first time. Also are glad that since last year there was a tradition to combine demonstration displays of an educational material with companies trainings and even sports “master classes” and performances of choral collectives. As to companies the exhibition we wish to express gratitude of company LOGOS EXPO Center for the timely decision of all arising in the course of questions and for excellent organized protection of exhibits. Unfortunately, recently and our picturesque art began to transform into show. In parallel in one hall the art exposition can be presented and the monitor on which something is shown very advanced and fashionable is established. And often happens that the youth reaches for the last. At this exhibition of the similar it is not observed, for what we are grateful to its organizers. The only thing demonstrative and simultaneously an information material at our stand are pictures of our students, and it it differs from the others a little. But we are glad that, thanks to reasonableness and the accurate organisation of an exhibition, interest to our stand is not interrupted by any modern currents. 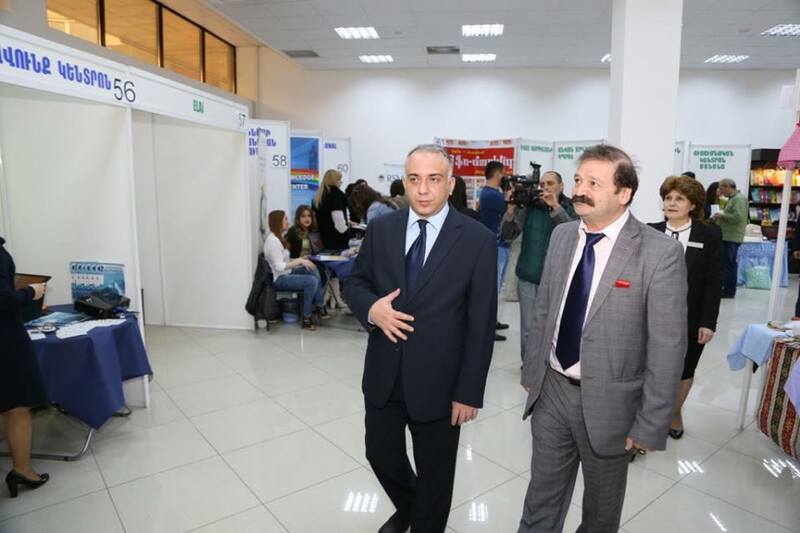 On behalf of the Union of the manufacturers and businessmen of Armenia I welcome participants and visitors of the international specialized exhibition “Education and Career EXPO”. 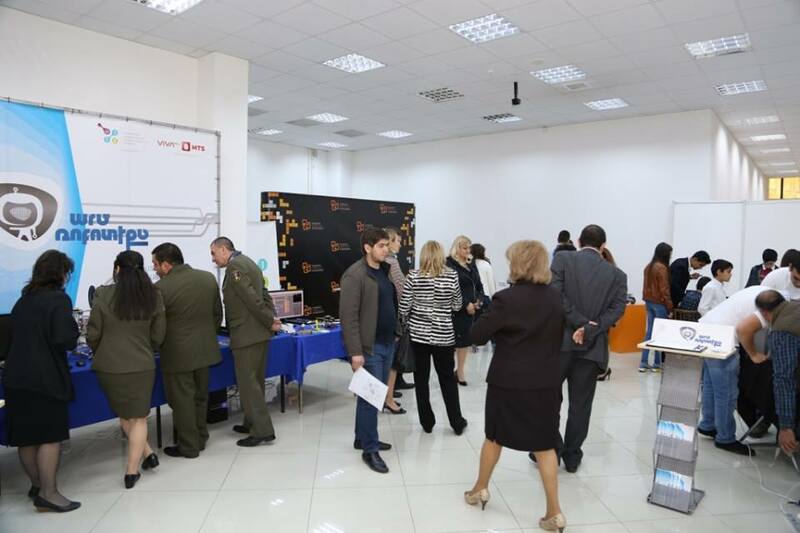 That fact is conclusive that the specialized exhibition “Education and Career” became the most important tool in increase of efficiency of education of Republic of Armenia. 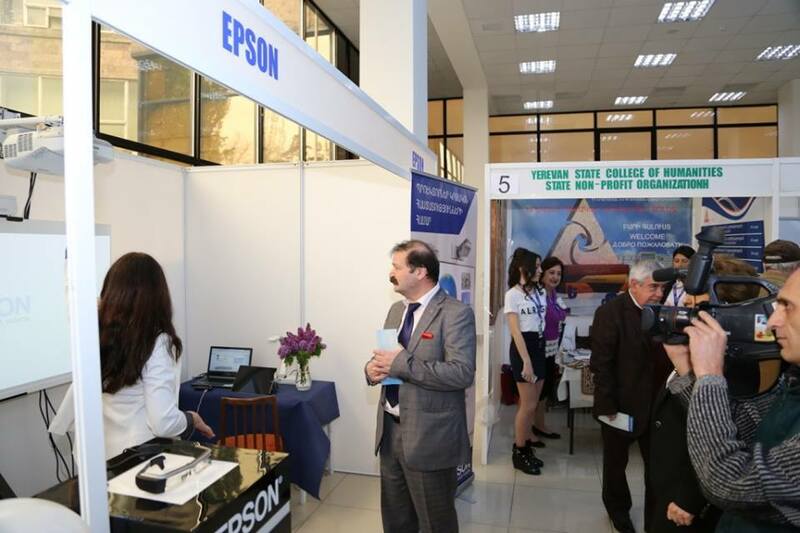 We consider an exhibition as a working platform for an establishment of business contacts between domestic and foreign education institutes and for this reason the Union of manufacturers and businessmen of Armenia actively supports exhibition company LOGOS EXPO Center, representing itself as employee so important and scale action. I wish Logos Expo Center further prosperities, and to all participants of the exhibition successes and active fruitful work.